The rerun elections slated for coming Thursday September 27 in Osun State are to hold in seven polling unit across four local government areas. One polling unit each is in Ife North and Osogbo; two are in Ife South, and three are in Orolu local government area. PDP's Ademola Adeleke currently leads with 353 votes. INEC declared the rerun after it announced the governorship elections “inconclusive” on Sunday. It said it had to cancel 3498 votes in the affected areas. 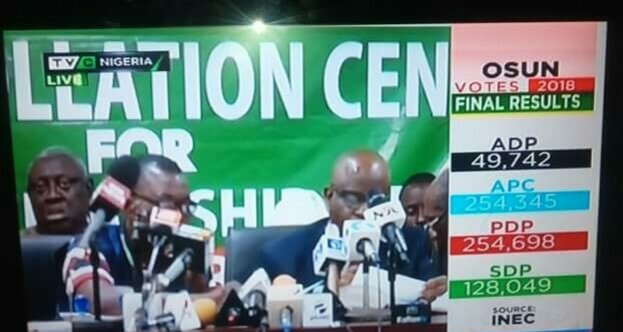 Despite PDP’s 353-vote margin over APC, all 48 parties will take part in the rerun, INEC said.